I am fascinated with the mind; with what consciousness is and what role our brains, hearts, and bodies in general play in all this. On the other side of that coin is my tendency to easily get worried and anxious. When I slide into these stressful states I feel a lot more troubled than fascinated. A little while ago, I watched my friend Natalie Ledwell’s very interesting interview with psychologists (and husband and wife) Dr. Carol Kershaw and Dr. Bill Wade. 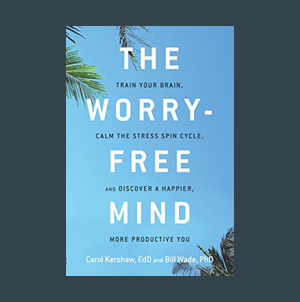 I loved the way the two shared their knowledge about the mind – inspiring and easy to understand — and immediately bought their latest book The Worry-Free Mind (Read my article about their book here). As I had anticipated, it turned out to be a treasure chest of new knowledge about the mind for me. Such good explanations – and the exercises are easy and practical! 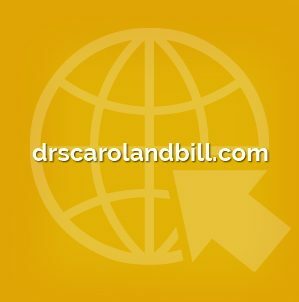 I reached out to Dr. Carol and Dr. Bill to ask for an interview. 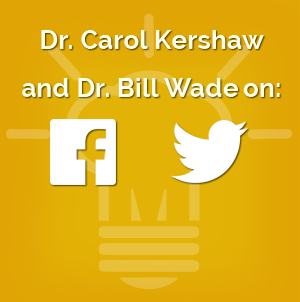 Are you Interested in knowing more about Carol Kershaw, EdD and Bill Wade, PhD?